The World Triathlon Corporation, owner of the Ironman race series, just announced a multi-year commitment to host Ironman Lake Tahoe. This is the real-deal full Ironman distance race: 2.4 mile swim, 112 mile bike, and 26.2 mile run. The date is September 22, 2013. 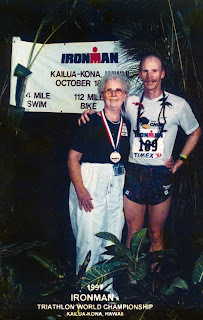 My mom and I in Hawaii, 1997. This race will have two transition areas. The swim-bike transition will be at King’s Beach. The athletes will complete a double loop swim course in Lake Tahoe before getting on their bikes. The bike is two and a third loops from Hwy. 28 to Tahoe City, Hwy. 89 to Truckee, out Hwy. 267 and loop through Martis Camp, up and over Brockway Summit, and back on Hwy. 28. On the third loop, athletes will stop at Squaw Valley for the bike-run transition. 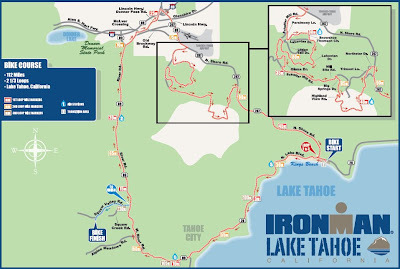 The run will be on the bike trail to Tahoe City and then South to the turn-around near Homewood. The runners will make the return trip to the finish line at Squaw Valley. Ironman Lake Tahoe offers $75,000 in prize money and 50 age group slots to the 2014 Ironman World Championships in Hawaii, October 11, 2014. Registration for this inaugural Ironman opens Monday, June 18, at noon. The price is $675 dollars. 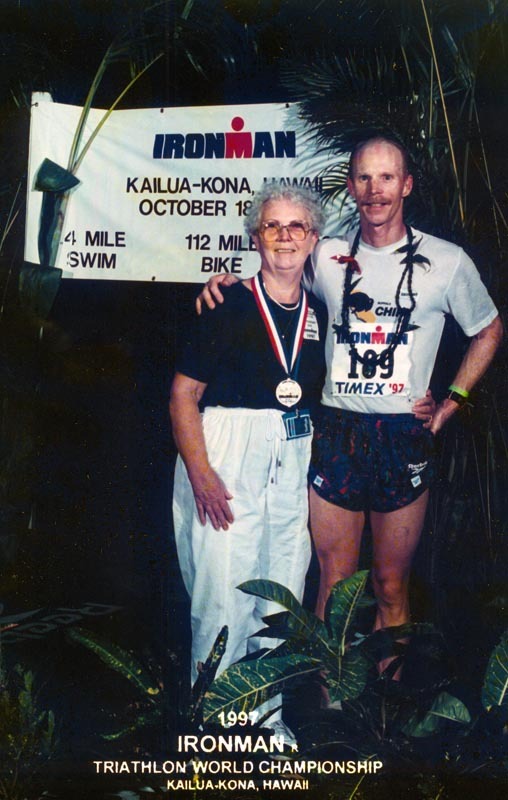 The last Ironman I did was Ironman Coeur d’Alene in 2006. I never thought I would do another, but this new race has got me stoked. An Ironman in our own back yard is just too good to pass up. This race might fill fast. Update 6/19/2012: IM Lake Tahoe sold-out in less than 24 hours.